The Johnson’s Island Confederate Cemetery contains approximately 230 Confederate Officers and enlisted that died while imprisoned at the island. 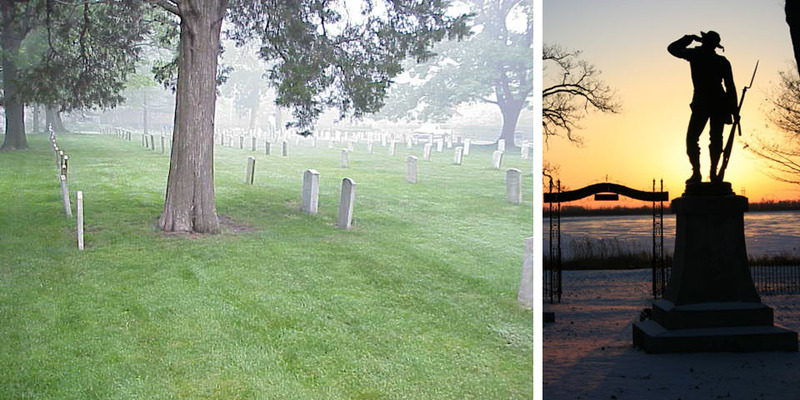 During the Civil War, the prisoners who were either executed, died from illness or some other cause, were buried in the cemetery. When a prisoner died, his companions or fellow prisoners would carry them down to the cemetery under watch of the guard and bury them. The graves were originally marked with wooden headboards and had their name rank and unit on them. 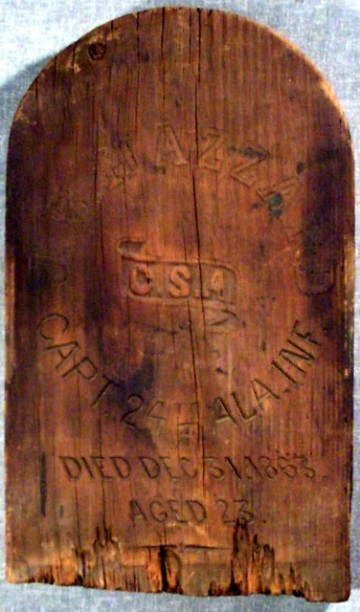 These boards were replaced with headstones in 1890. It must be noted that although a headstone may say who’s buried in that plot, that individual can actually be in an entirely different part of the cemetery. There’s also the possibility that there are individuals buried outside the current area fenced marked as the cemetery. On Wednesday of the second week, we were able to take a small break from excavating and take a trip to the Johnson’s Island Confederate Cemetery. 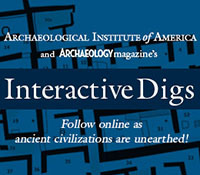 Archaeologists look for patterns throughout their research in order to gain knowledge of the societies they are studying. We were able to practice looking for patterns in the cemetery. Between the four of us, we were able to find only twelve patterns, such as: shape and size of headstones, initials of first and middle names, last names, unit, and rank printed on the headstones, all headstones facing south, staining at the bottom of the headstones, and some headstones were marked unknown. However, Dr. Bush swears there are more than fifty-seven patterns within the gates of the cemetery. We will have to keep practicing! Along with working at the site we were given letters to transcribe. And it gives us a deeper appreciation for the way the prisoners lived and what they thought about. The prisoners had strict rules to what they were allowed to write about and how long it could be. The guards would then read over all outgoing and incoming mail to make sure it followed the guidelines. We get the chance to experiences this as well, because Dr. Bush is having us write letters home under the same guidelines the Prisoners had and he is reading them to make sure they are followed. 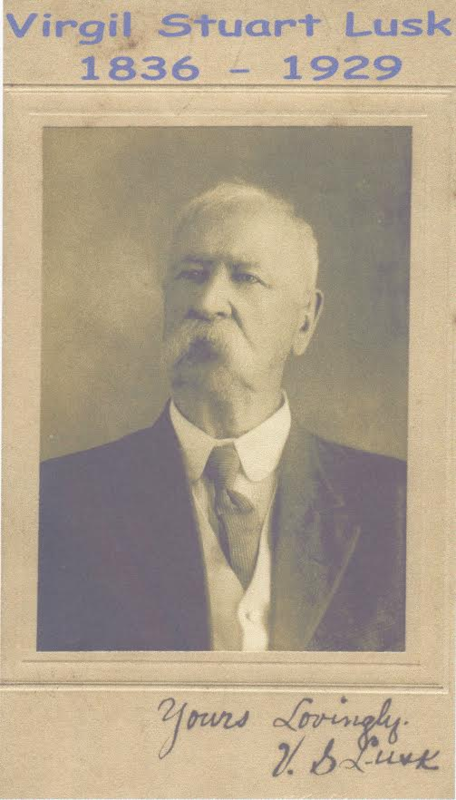 One of the prisoners that we have transcribed letters from is named Virgil Lusk. All of his letters are addressed to his cousin Pauline. He tells her in every letter how much it means to him that she writes him letters and explains that writing to her brings him great happiness. He also says in one letter that he wants to be an author of a book called “The Northern Bride” and has already wrote a poem called “Tis Midnight Hours.” He seems to be very interested in his extended family and tries to keep track of what is going on in all of their lives. Overall, he seems to be a good man stuck in a prison, bored out of his mind and grateful for any entertainment he can get. This entry was posted on Thursday, June 23, 2016 at 3:49 pm	and is filed under Field Reports. You can follow any responses to this entry through the RSS 2.0 feed. Both comments and pings are currently closed. My great grandfather George Washington York was imprisoned there in 1864. He wrote a diary of his time spent at the prison. It is 80 pages and was going to be transcribed I believe in 2010. Do you have this? I certainly hope you do. I have been working on my family history for 20 years and really want a copy. Please advise asap. What were the rules on writing? You didn’t say what they were. I have a civil war diary which I am attempting to repatriate back to any possible direct living descendants. I am curious to find out if you have any letters in your possession either sent to or received by him. Could you please advise me if you have any letters referencing First Lieutenant George Washington Paul, Originally of the 15th Arkansas Infantry. At the time of his capture he may have been reassigned to the 21st or 23rd. Thank you for any insight you may be able to provide.